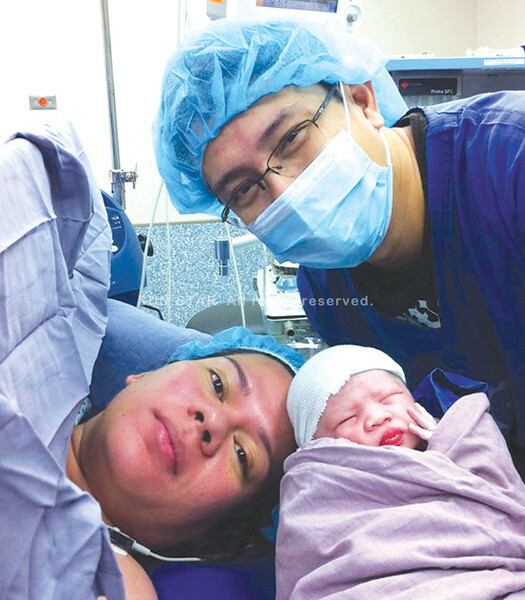 DAVAO City Mayor Sara Duterte-Carpio gave birth to a healthy baby boy through caesarian section Monday, an event welcomed by residents who have to wait to get their first sight of the baby outside photos because the family of the mayor’s husband, lawyer Mans Carpio, gets to cuddle the baby first. To be named Mateo Lucas, the couple is nicknaming him Stingray. He is the eighth grandchild of Acting Mayor Rodrigo Duterte. In an interview, Acting Mayor Duterte admits he still has to see the baby personally but understands why the family opts to stay in Manila for the moment. “First apo man gud na sa father side (He’s the first biological grandchild on his father’s side),” said the elder Duterte, adding he is also excited to see the baby. The couple has an adopted daughter nicknamed Sharky, who is now 5.